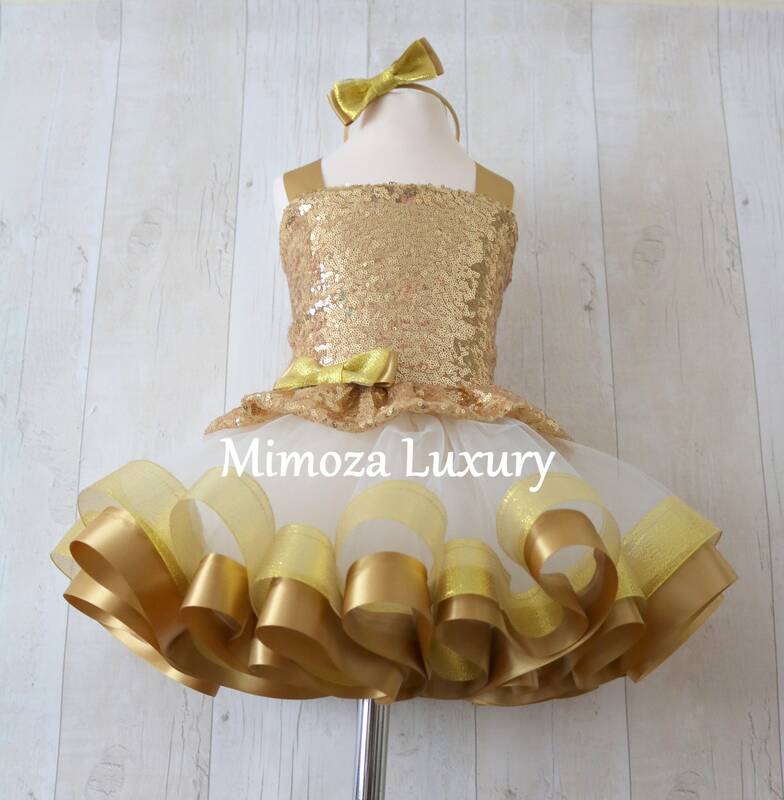 Bespoke made to measure dress in gold and Ivory, Perfect for your special occasion! 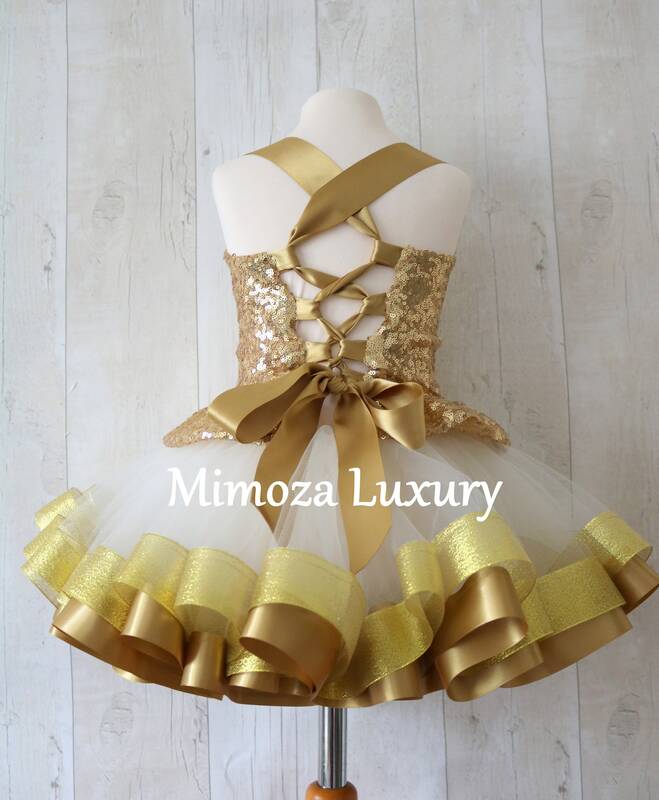 Beautiful gold sequin bodice with gold adjustable straps crossed at the back like a corset ensure the perfect fit. 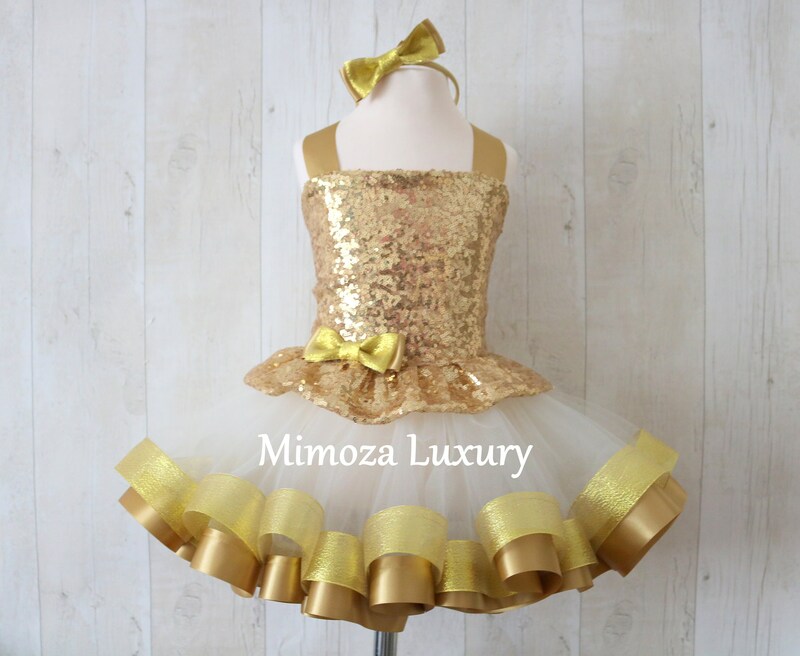 The ultra fluffy fully sewn tulle skirt is made of yards and yards soft tulle, edged with yards of beautiful gold ribbons and elasticated on top for maximum comfort. The advantage of having separate pieces is that you can wear the top and the the skirt separately, creating new outfits for other events. 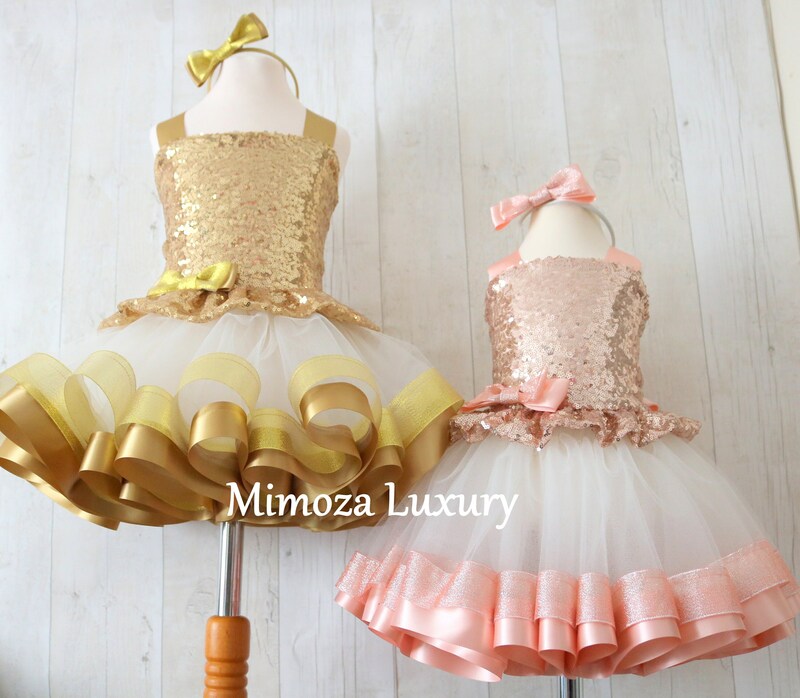 The tulle skirt and the ribbons can be made in other colors too.